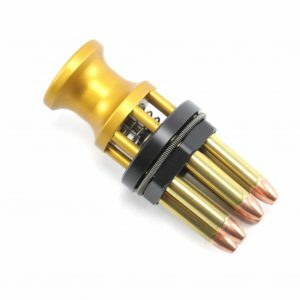 When you would like to improve your reload speeds while you are out shooting your revolver, you need to order a Speed Beez speed loader. Our loaders were designed and built right here in the United States with an innovative feature that makes them faster and easier to use. While many other kinds of speed loaders use a push-and-twist method to secure your rounds, Speed Beez speed loaders use a push-in method to quickly hold your rounds in place. You will be amazed at how fast you can reload with our Smith & Wesson speed loaders! Shop with us today and enjoy more productive time on the range.